Periodontitis and peri-implantitis are infectious diseases; their major cause is a unique group of periodonto-pathogenic bacteria. These bacteria actively destroy endogenous tissue, cause inflammatory reactions and in the end, are responsible for the loss of teeth and implants. To ensure long-term success, the therapy requires a targeted elimination of these bacteria. 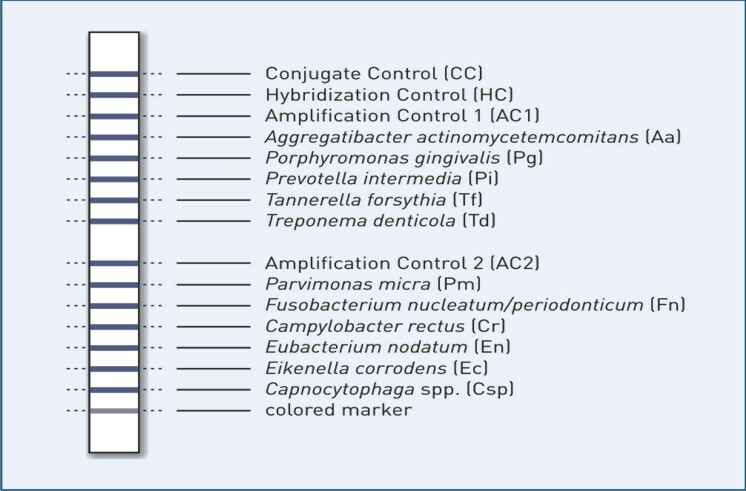 Marker pathogen analyses with micro-IDent® and micro-IDent®plus11 supply data on quality and quantity of 5 and 11 periodonto-pathogenic species, respectively, and their affiliation to so-called “bacterial complexes. The test results represent the optimal basis for the design of individual therapy which is normally a combination of mechanical forms of therapy and adjunctive systemic or local antibiotic administration. This allows to significantly increase the success rate of the therapy while the relapse rate is dramatically reduced. Infections with marker pathogens cause inflammation of the endogenous tissue and progressive loss of attachment. A targeted and successful periodontal treatment requires eradication, if not, substantial reduction of the bacterial load. The treatment precision that results from the micro-IDent® and micro-IDent®plus11 test systems will provide you with added peace of mind knowing you are addressing the specific concerns causing the periodontal infection. 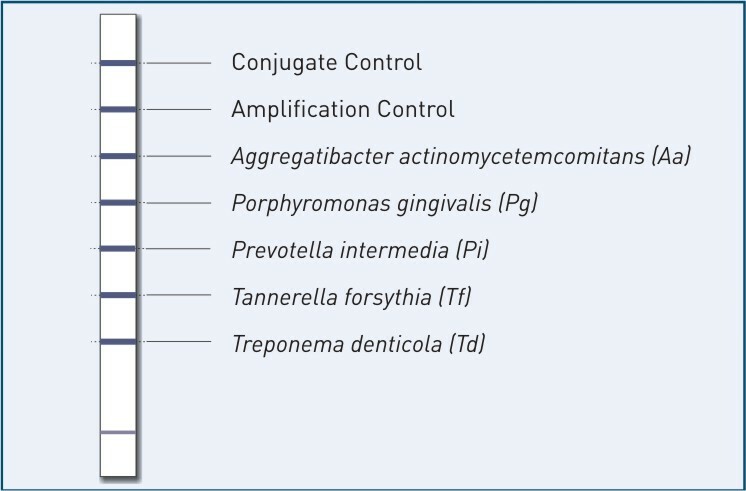 Due to extreme individual variances in the composition of the sub-gingival plaque, a targeted therapy can only be achieved by analysing the individual bacterial load. Knowing the composition and the concentration of the bacterial load enables the creation of an individual therapy strategy with minimum use of antibiotics. Marker pathogen analyses with micro-IDent®plus 11 enable choosing the most appropriate medication and help avoiding inefficient therapy or even treatment failures. In the event of peri-implantitis, inflammation of the soft tissue leads to bone resorption. This causes an implant to become instable and, in the end, even to fall out. The bacterial load is the same as the one that causes periodontitis. The bacteria that threaten the natural teeth also affect implants. Early diagnosis and testing for pathogenic bacteria is also very useful for dental offices placing dental implants. Elimination (or significant reduction) of the pathogenic bacteria can enable greater clinical success with dental implants. Marker pathogen analyses with micro-IDent® and micro-IDent®plus11 supports the eradication of the bacterial load by providing the information needed to choose the appropriate therapy. Placing an endosseous implant should only occur after successful elimination of bacteria. Marker pathogen analyses prior to implanting show if an already present bacterial load increases the risk on implant failure. Only a negative marker pathogen analyses indicates the absence of bacteria and thus gives a green light to place an implant. A simple way to ensure optimal treatment reliability in dentists and patient’s interest.